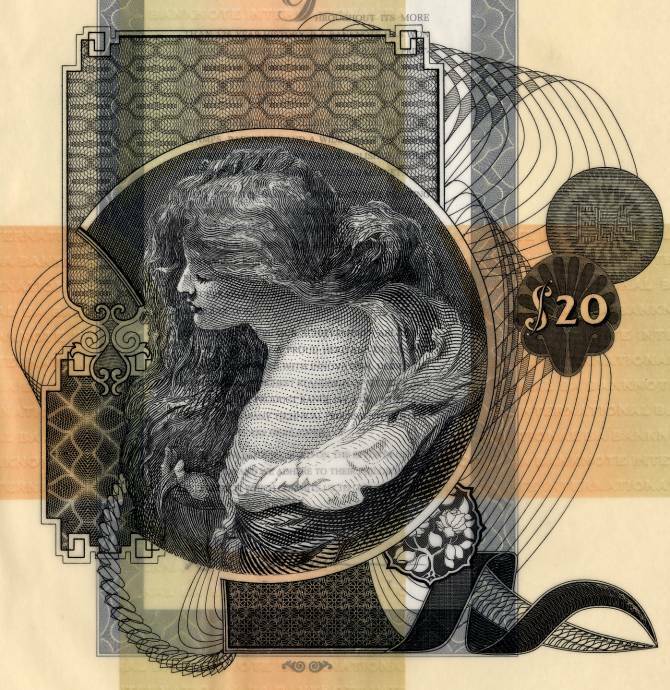 Beautiful Commemorative Brochure from the BA Banknote Company. 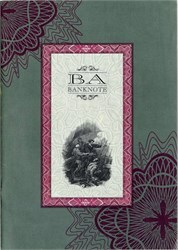 This historic document includes 18 color pages showing the years of artistry and quality printing of bank notes. 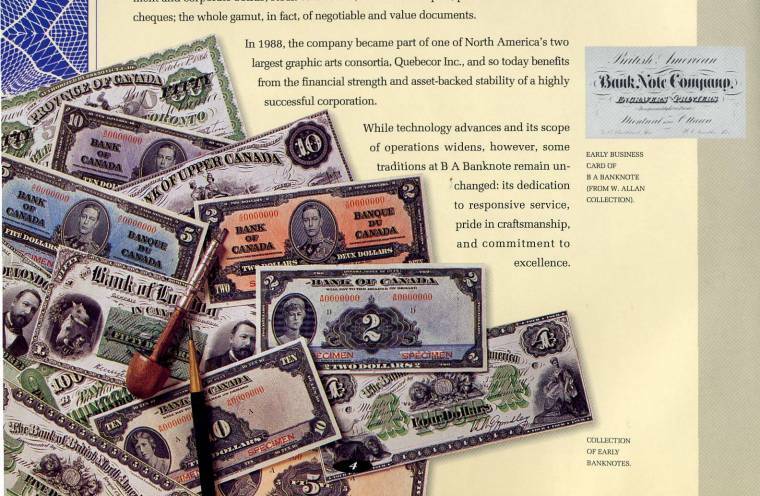 BA INTERNATIONAL Inc. was established as a security printing company, located in Ottawa, Canada in 1866. Since October 1999, BA INTERNATIONAL Inc. is now part of the Giesecke & Devrient GmbH group of companies and operates as an independent legal entity.